It’s been just a few days since we heard about the passing of one of drum & bass’ most respected producers, Marcus Intalex. It doesn’t seem real that another one of our musical heroes has passed on so soon. I have always felt a huge connection to his music because I appreciate that he went in a much more melodic direction when everyone else was trying to cane you to death with darkness. He practically invented the liquid funk sub-genre at the turn of the century. 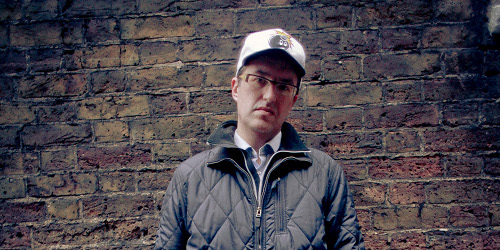 Marcus Intalex really was a drum & bass titan. Whether with his label Soul:R, his solo and remix work, his collaborations with ST Files (as M.I.S.T), DRS, or Calibre it was always a must buy. He and ST Files did more to get the ladies back into drum & bass than just about anyone else and that in turn led to it’s resurgence. In the last few years he’d really been pumping out techno tracks under the alias of Trevino on his Revolv:R label. He took the chops he’d built in DnB and applied them to his techno work and it made him an even bigger legend. We love and miss you Mr. Intalex. Love & Happiness ruled my world for 2000 and 2001. The first time I heard Fabio play it on a live mix for the Fabio and Grooverider show I was hooked. Waited months and months for it to come out, then proceeded to play it every set for 6 more months, at least. At a time when everyone in Texas was trying to one up each other with the newest tracks you could always count on a Marcus track to go over big, new or old. The few times I was lucky enough to chat with him for an extended time he was super nice, down to earth, and affable. Not things you normally use to describe dnb producers/djs, especially those of his caliber. I hadn’t ever thought about how I would feel if someone like him passed, but it hits harder than I would have imagined. He was a constant, even when I would have lapses in listening to dnb, that I could go back to and check in on and pick right back up with nodding my head.